A couple of years ago I was contacted by a teacher just down the road from me in Portland, Maine who had developed an online geography game with the help of one of his students. That game was called GameOn World and it is still going strong today. In fact, they continued to work on it and it is was recently one of the sites that I include in my best of the web presentation. GameOn World is played in a manner similar to Kahoot. The teacher projects the game questions on a screen and students reply from their phones, tablets, or laptops. One of the convenient features of GameOn World is that you don't have to create an account in order to start playing fun geography and history games with your students. In GameOn World the teacher selects a game category (cities, places, and timeline are a few of the categories) and starts the game. The students join the game by going to GameOn.World and entering a game pin. In the location and timeline games, students answer the questions by moving a placemark on a map or selecting a date on a timeline. In some of the other games students answer by choosing a number on a sliding scale. 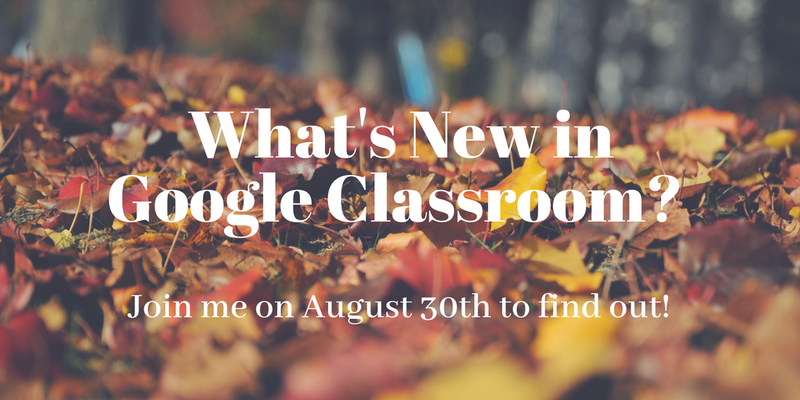 If you have been following this blog throughout the summer, you know that Google has made a bunch of updates to Classroom. If you haven't kept up with those updates or you just need some guidance on how they will affect you, join me next Thursday at 7pm Eastern Time for a Practical Ed Tech webinar titled Get Organized With Google Classroom, Calendar, and Keep. In the webinar on August 30th you’ll learn what’s new in Google Classroom, what’s changed, and how you can use Google Classroom to stay organized throughout the school year. Extensions for Google Chrome can do all kinds of helpful things for you and your students. This is the time of year when teachers who have Chromebooks for the first time ask me what they should add in addition to the standard things that their IT staff installed. Usually my suggestions begin with a few Chrome apps and some extensions. 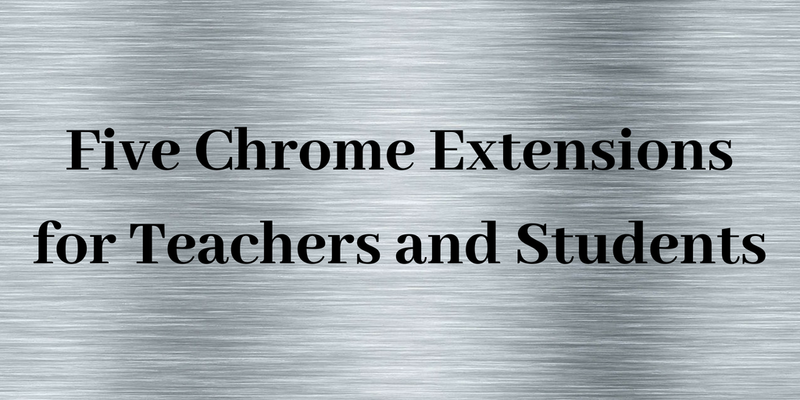 Here are five Chrome extensions that I frequently recommend to teachers. This extension answers the question, "how do I add music to Google Slides?" With Audio Player for Google Slides installed you can not only add music to play continuously in the background of a presentation you can also use it to record audio in your Google Slides. Loom is a Chrome extension that you can use to record screencast videos. Additionally, when you have Loom installed you can record screencast videos directly from your email inbox. Watch my video to learn how to use Loom. This extension might become redundant with the new iteration of Gmail, but it is still worth mentioning for now. Auto Text Expander for Chrome enables you to create keyboard shortcuts for phrases that you frequently use in emails. This extension lets you can set a keyword that when typed will fill the body of your email with programmed text. This is a convenient tool to use if you find yourself frequently replying to the same type of questions in your email. This extension can be equally helpful to teachers and students. ReCall Study Time is a Chrome extension that is intended to help you cut down on the time you spend looking at social media sites when you should be studying or working. With the extension installed and enabled you'll be shown a big reminder to get back on task whenever you try to open Facebook, Twitter, YouTube, Google+, or Instagram in a new browser tab. If you're married to the Google ecosystem and using Google Classroom within a G Suite for Education domain then you should to try Share to Classroom. With this extension installed you will be able to push webpages to your students' devices by simply opening the extension and specifying which of your Google Classroom classes you want to receive the page. Students do not need to do anything because the page will automatically load in their web browsers. You can also have students push pages to you through Share to Classroom. There is a Google Keep Chrome extension that makes it easy to save bookmarks and notes to your Google Keep account. You can then access your notes and bookmarks at Keep.Google.com or view them through Google Docs. If you're already using G Suite for Education, Google Keep is a convenient place to save your bookmarks and notes. Learn more about Google Keep in the webinar that I'm hosting next week on PracticalEdTech.com. SciShow Kids is one of my favorite YouTube channels for kids. SciShow Kids publishes a steady stream of science lessons for elementary school students. 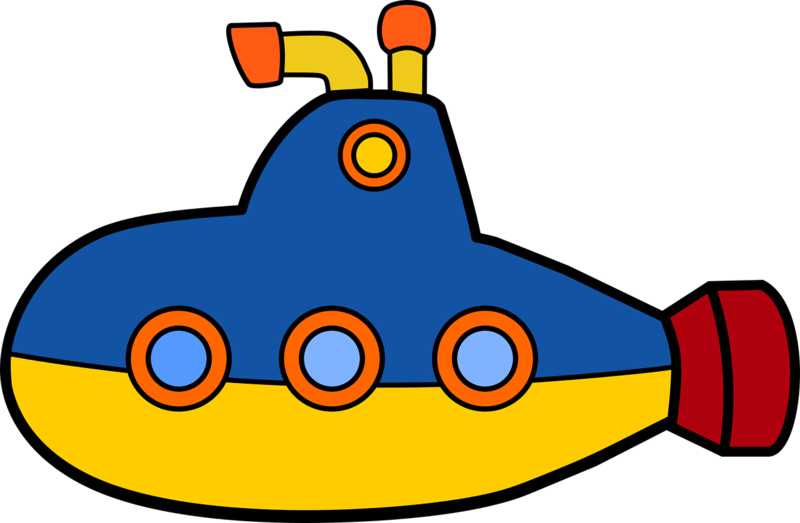 The latest video lesson from SciShow Kids is all about how submarines work. The video does a nice job of covering the basics of how submarines are sunk and how they are returned to the surface. A little demonstration that you could create in your classroom is included in the video. My only criticism of the video is that I wish there was a bit more explanation about how oxygen is supplied in a submarine. Perhaps the answer to that question could be the start of a lesson in your classroom.